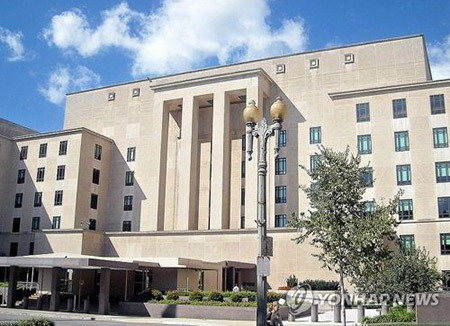 The U.S. State Department says it remains committed to its goal of the permanent dismantlement of North Korea's weapons of mass destruction without delay. The department also told KBS that U.S. President Donald Trump is looking forward to his meeting with North Korean leader Kim Jong-un, adding the government is making comprehensive efforts to prepare for the summit. The department gave the reply when asked to comment about the North's recent criticism of the U.S.
Radio Free Asia(RFA) issued a similar report on Tuesday, saying that the department's East Asian and Pacific Affairs Bureau reaffirmed its goal of realizing the permanent dismantlement of the North's weapons of mass destruction(WMD). The U.S. has called for the complete, verifiable and irreversible dismantlement or CVID of North Korea's nuclear weapons. 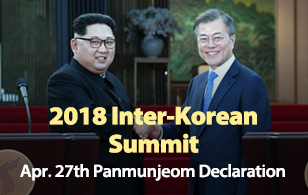 However, it recently started to demand "permanent, verifiable and irreversible dismantlement" or PVID of the North's WMDs, including nuclear and biological and chemical weapons, ahead of its summit with the North.